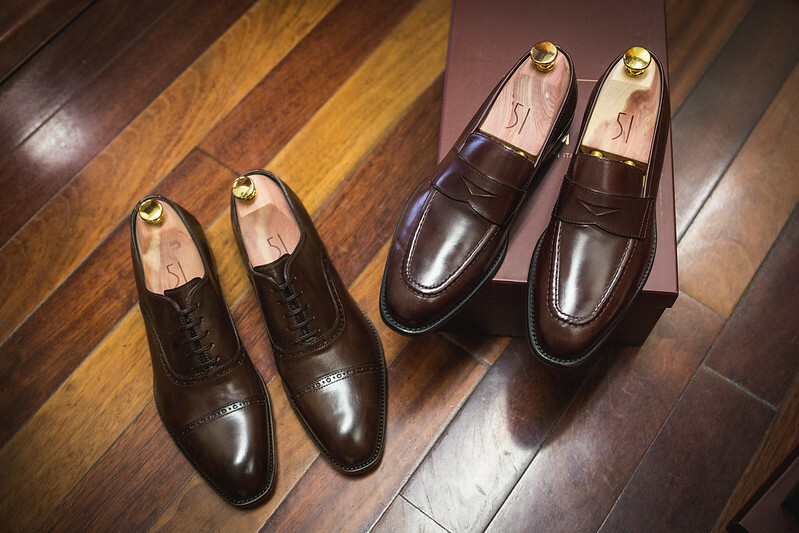 Review: Oxfords & Loafers from 51 Label Co.
Do you know what the clock says? It says it’s time for a review! 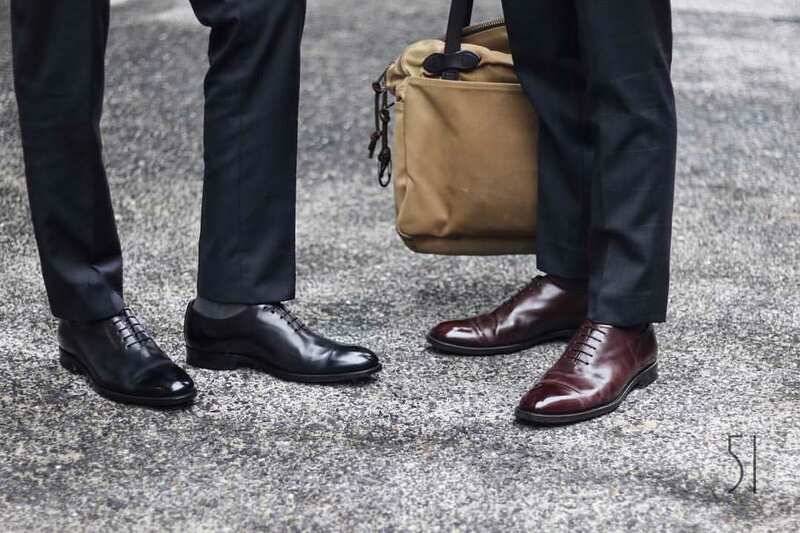 We look at two shoes from 51 Label Co., a new shoe company based in Singapore. Disclaimer: We received two pairs of shoes in exchange for this review. Writing this blog for the past three years has put me in contact with a lot of cool people. Sometimes they’re fellow youngins like the Drake’s guys or Suit Supply guys who love menswear and want a career in it. Other times its fellow vintage enthusiasts who guys who want to dabble in the 1920s-1960s. And then there are times when I meet guys who are entrepreneurs, who want to contribute something to the world of classic menswear. I’ve never been a craftsman (the only thing I can contribute are photographs and words), so it’s these guys who always blow me away. 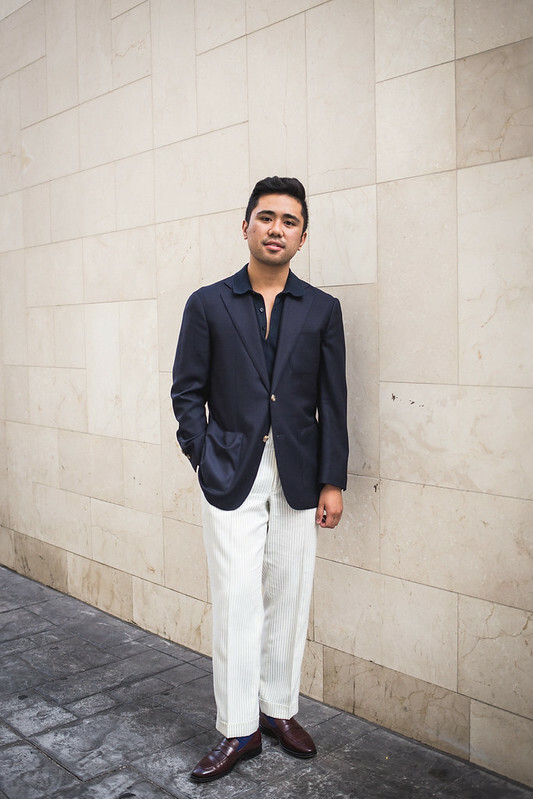 Gary Ong is the co-founder of 51 Label Co., a new Singaporean shoe company. 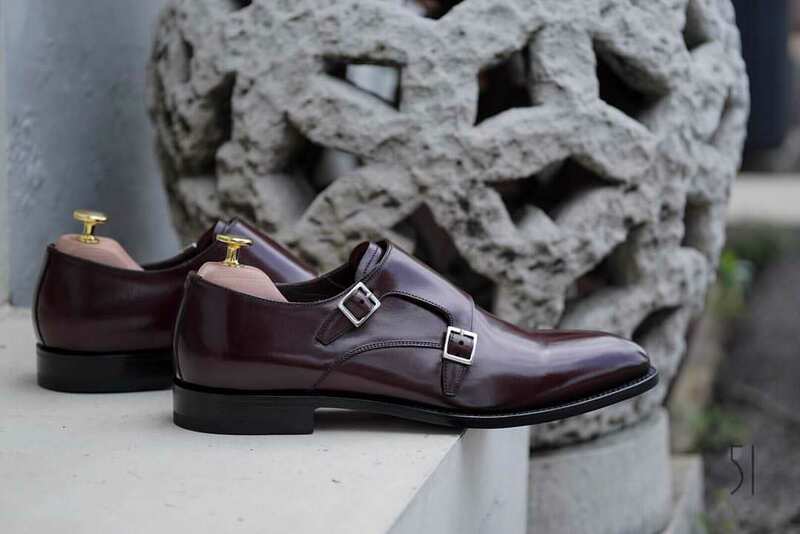 He and his business parter (who had previously made a MTM service called Mr. G) wanted their next endeavor to be a luxury shoe that wasn’t just easy to wear, but able to last a long time. Even though they’ve only recently launched they’ve been able to have a decent offering that includes oxfords, wholecuts, penny loafers, and minimal sneakers, each for around $300USD. Overall, they didn’t want to make an affordable luxury shoe (a term thats oft repeated among internet brands), but a luxury shoe that actually worth the price and is built to last. As they’ve been doing well, they decided to contact me to do a review, of which I graciously accepted. I don’t really get to try out new footwear too often! 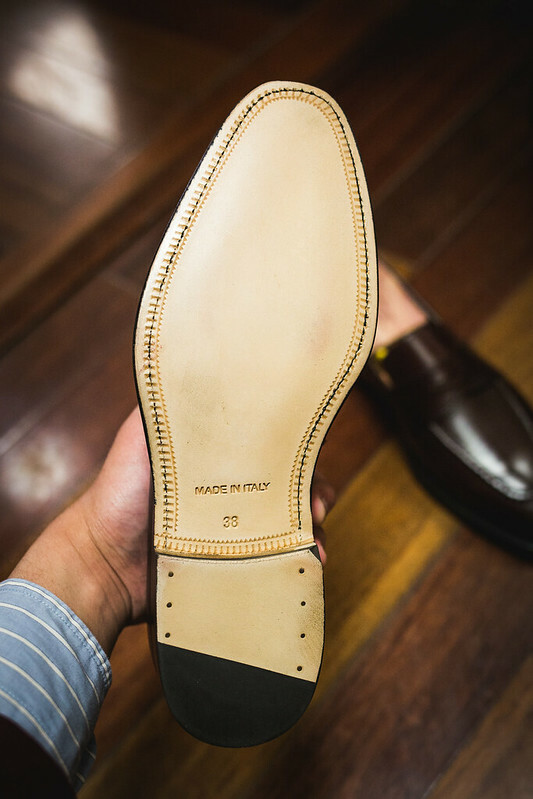 According to their about section (and the email he sent me), their shoes are handcrafted in Italy by a factory that also manufactures Gucci and Ferragamo. If I’m being totally honest, I’m always wary of brands that disclose that type of information since it usually doesn’t have much bearing on the product; a lot of factories make for multiple brands and high fashion/brand names aren’t always good. In general, I like to let the product speak for itself. However, I did notice that they use Italian baby calfskin leather and waxed cotton laces! Quality materials are always a good sign; most brands simply keep things vague or don’t disclose the materials all. Interestingly, these shoes are not Goodyear welted, which is usually the internet’s darling for shoe construction. 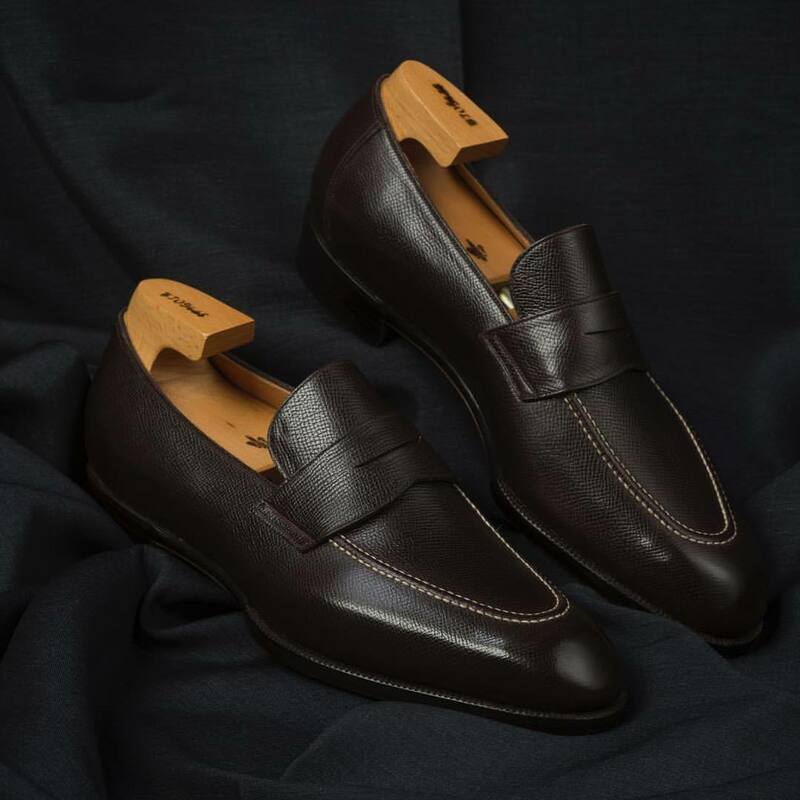 Instead, the 51 Label Co. shoes use a Blake Rapid construction, which results in a more lightweight and flexible shoe when compared to the Goodyear welt; they can even be resoled as needed. 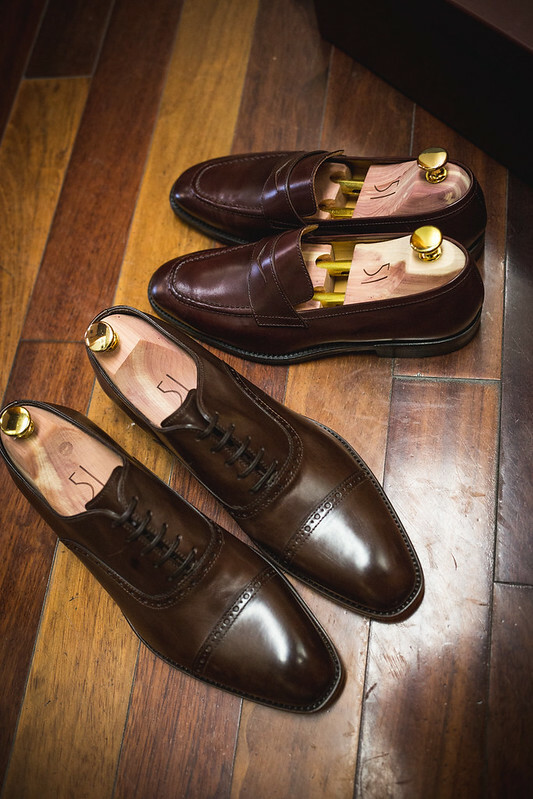 According to a few websites and forums, most Italian shoe brands will use Blake Rapid while English and American makers tend to go with the GYW. 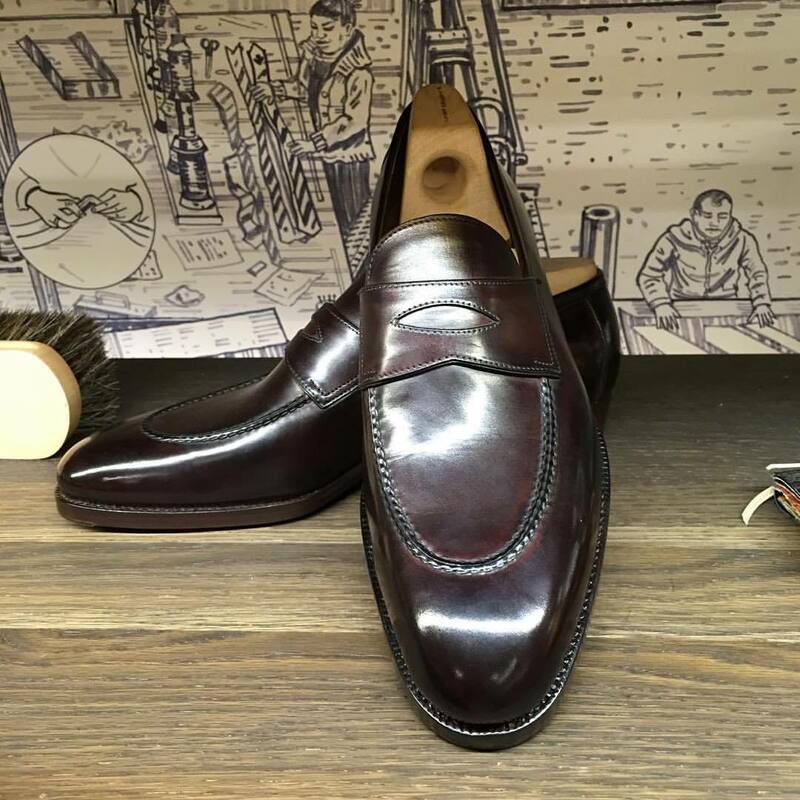 There’s nothing inherently wrong with either, but just note that GYW is the most common among the heritage brands; all my shoes are Allen Edmonds and utilize a Goodyear Welt. A Blake Rapid shoe can still be resoled, but according to some sites, they need a specialized machine for it. With that said, they do have a recrafting page on their website for existing customers. Anyway, I was eager to try them out for myself! All of my previous shoes are Allen Edmonds and so I was ready to experience something new. 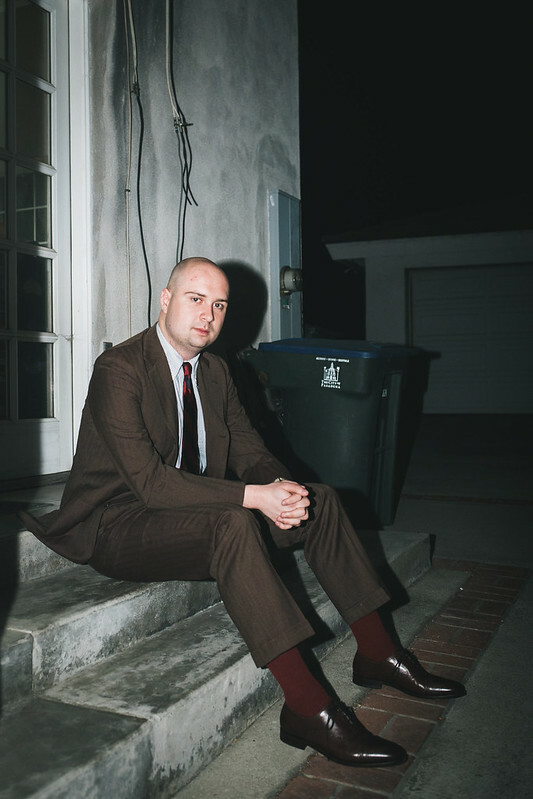 I selected the Lorens Penny Loafer and Spencer went with the Borins Semi-Brogue; this way we could recount how their lace-ups and slip-ons feel. After about a week, we received the shoes. These guys have an insane unboxing experience. 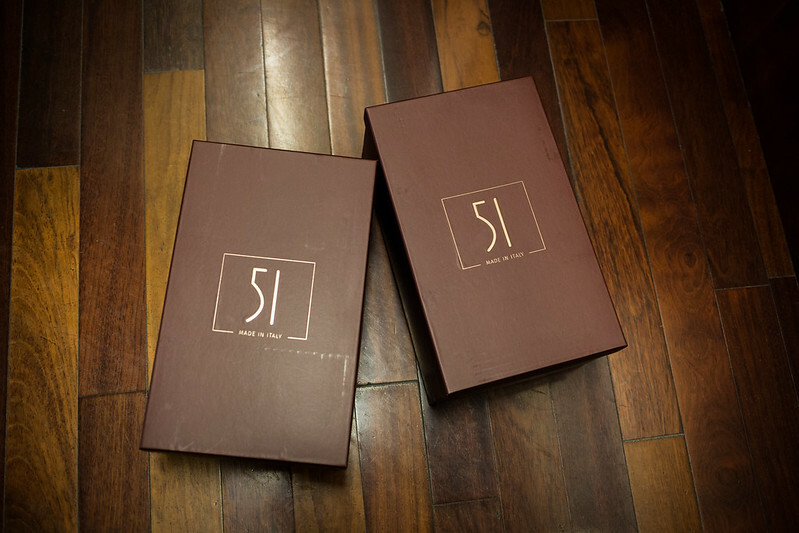 The 51 logo was not only present on the shoeboxes but they actually adorned the cardboard shipping box! 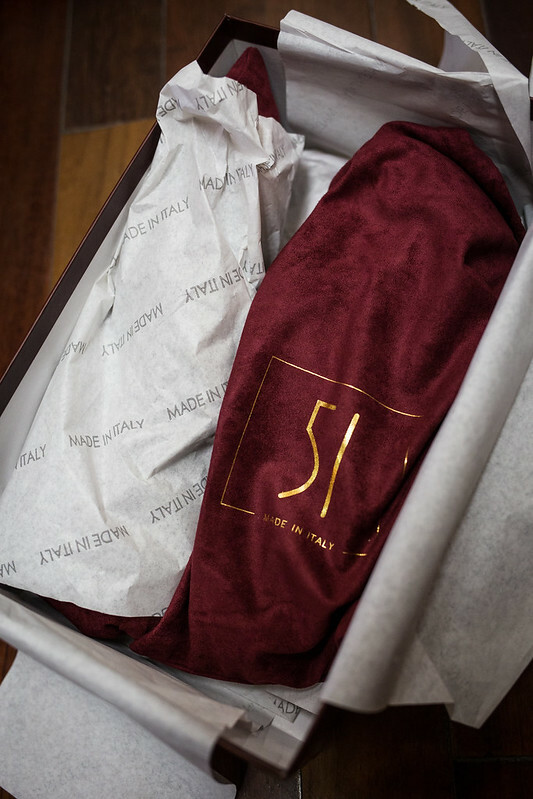 Deep burgundy is a good choice, which really emphasizes that luxury experience that 51 Label Co. wants to project. 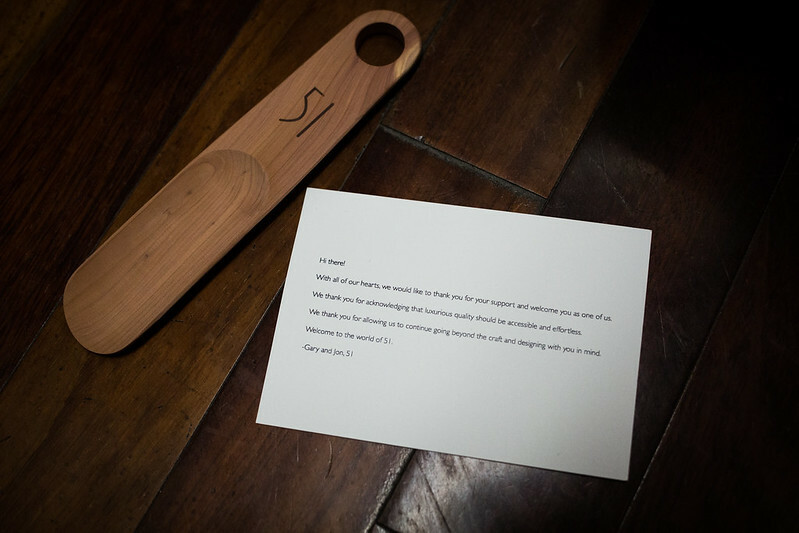 Within each box, there was a nice cedar shoe horn, a note from the founders, and the shoes, complete with cedar shoe trees and contained in a red dust bag. The Lorens is their penny loafer, offered in burgundy and tanned brown (I went with the former). Right away, I could see the difference between this shoe and the “American” ones that Spencer and I were used to. As you can see in the picture, the last is pretty aggressive and narrow, which (along with a long vamp) creates a sleek silhouette similar to other extremely high end models from Spigola or St. Crispin. 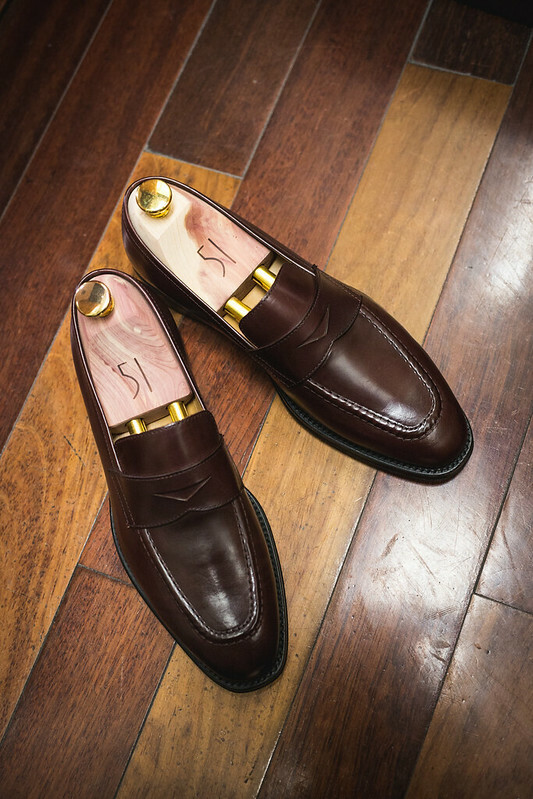 I really associate that look with uber-formal footwear, and I knew that these 51 Label loafers were instantly going to be a “dress loafers” rather than ones I could wear with denim or chinos. It doesn’t help that I have really tiny feet which I feel are “elongated”. I will say that the apron stitching is a little bit bulky and detracts slightly from the rest of the shoe. It also seems a bit to “square” when compared to the shoe’s overall shape. It’s a small design thing, but they can make or break footwear. Honestly it’s not a big deal here. The shoe still looks good! As some of you know, I have tiny feet (6.5-7US). It’s not something I adresss a lot on the blog (since I don’t review shoes often), but it has given me some grief when buying shoes. I let Gary know of this issue and he asked me to prove some measurements of my feet, which I happily obliged. At first he was going to send me a 39 (6.5-7US) but based on the pictures I sent him, he ended up shipping a 38 (5.5-6US) just to be on the safe side, as the shoes will break in during each consecutive wear. The 38 ended up being a great fit! Most of the time I add an insole to help my feet “fill out the shoe”, but I needed no such crutch with these loafers. True to Gary’s words, the shoes were incredibly light. I’m not sure exactly what I expected, but it was definitely much lighter than anything I had experienced before (no doubt due to the fact that Blake Rapid has less layers than GYW). The leather was also much thinner than I expected, but I guess that’s just what baby calfskin feels like. 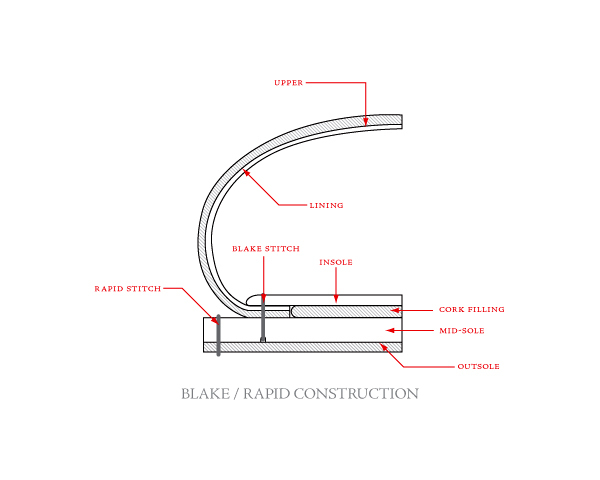 Overall, it has a slight “unlined” quality which is the appeal of Blake Rapid construction. Even though I wore it around work just to get a feel, I officially paired them with my navy DB suit. Penny loafers are the more “casual” loafer (compared to tassels), but I think the sharp last works in it’s favor here. The dark color makes it appropriate for business/formal attire. Even though it is a great match for the DB suit, I wanted to see how it worked with odd trousers. I think it works well in this context, worn with a particularly “elegant” ensemble with a navy jacket, knit polo, and “summer-flannel” striped trousers. It’s a bit like a throwback to 1920’s style, where cream striped trousers were common to wear with blazers; the runaway collar helps emphasize that vintage style, along with being needed in the Los Angeles heat. As you can see the sharp loafers work well with the trousers. Again, I don’t think it would be the same with selvedge denim or pleated chinos. Here is what they looked like after wearing them for a few days. Now the shoes are still comfortable and retain their shape, but I think this is pretty intense wrinkling for a new shoe; it’s probably due to how fine the leather is. With that said, I do keep shoe trees in them whenever I’m not wearing them. Perhaps we’ll revisit the shoes in the future to see how they hold up! 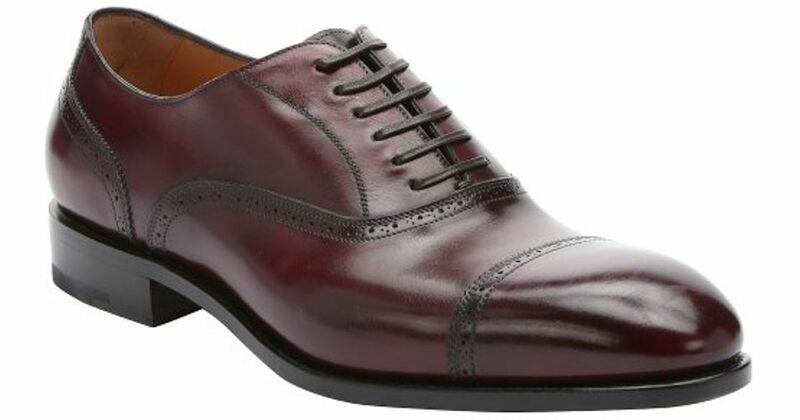 For my shoe, I selected the Borins Semi-Brogues, their classic cap-toe oxford. You can’t really go wrong with having one, especially in a brown, since they can be worn with any form of suiting, formal worsted or “sporty” tweed. Right away I was impressed with the last; it doesn’t appear to be as aggressive as the penny loafers and gives off a rather nice silhouette. The broguing is done well that results in a classic look, rather than the “fashiony” ones we normally see from non-heritage brands. Also, the laces were an excellent touch. Upon receiving these shoes, Ethan and I noticed there was a small stain on the facing of the right shoe. 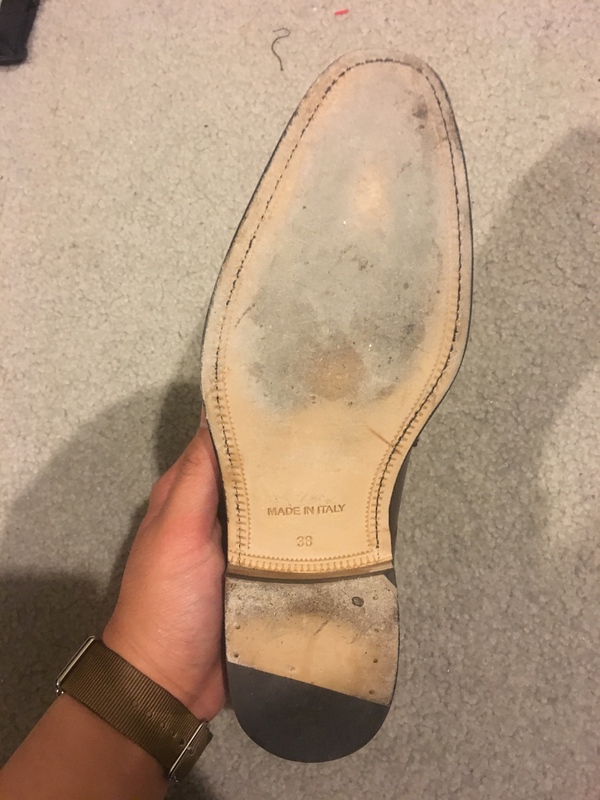 I took it to two shoe repair places, but neither was able to fully remove it, the second place remarking that it appeared to be an oil stain rather than a defect of the leather. Although now it is barely noticeable (I had to ask Ethan where the stain was), we thought it was worth mention. It’s not something that I really mind, but if I had paid full price for it I might be a bit more annoyed. Like Ethan, I get many of my shoes second-hand on e-Bay, so having a brand new pair (especially a pair as high end as these) is a different, but pleasant experience. The first time I wore these shoes, they were a bit stiff but broke in pretty quickly. The calf-skin wears in well and fits my foot comfortably. I work two retail jobs that involve running around the sales floor and being on my feet for most of my day, but luckily I experienced no discomfort at the end of my shift. In other words, these dogs were not barking. 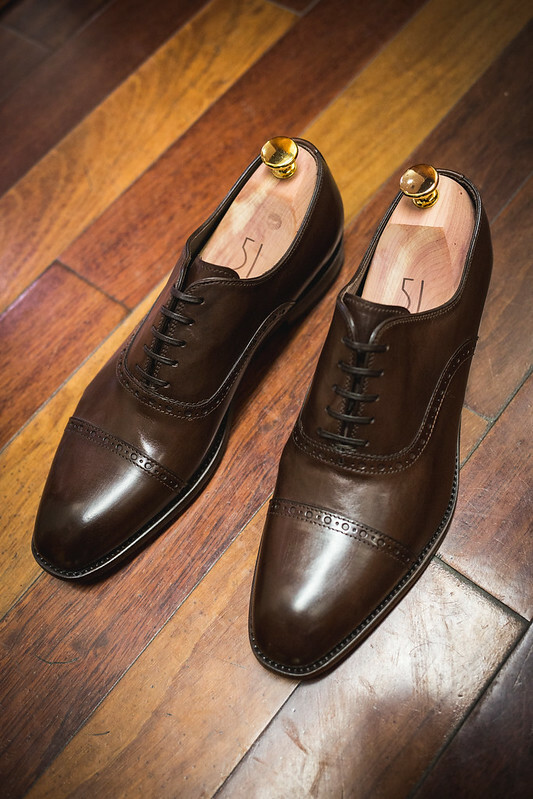 Again, these shoes have a very streamlined and sleek shape that lends itself well to more formal looks (even more-so than most oxfords). It would feel a bit strange to wear these with separate, but it’s good to have a dress pair for my suits to be worn at formal or business occasions. I was at first surprised by the lightness of the shoes- I would have expected the leather to be more substantial in a higher end shoes, but again, I don’t have much experience in that field. 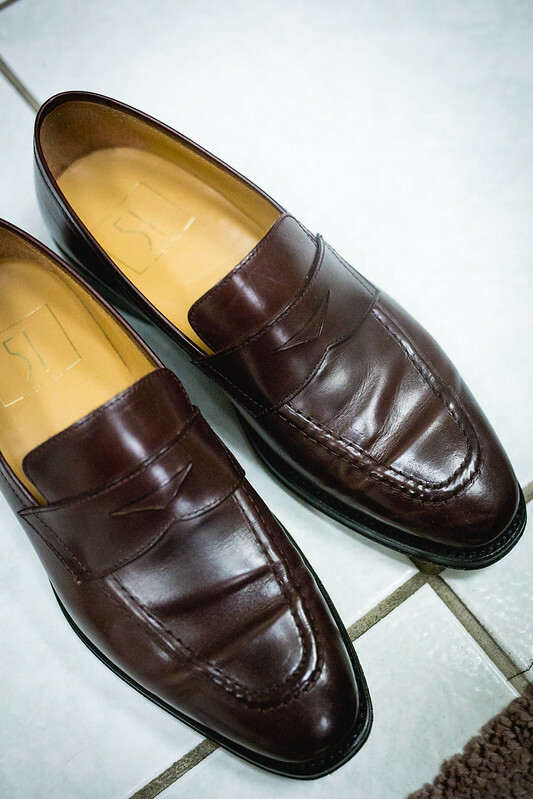 However, the fine leather does make them very comfortable- and I think it would pair nicely with a summer suit. I’d have to say that our first experience with luxury shoes was an enjoyable one. Gary and his colleagues at 51 Label Co. have created a shoe that is instantly wearable and comfortable, whether you’re wearing it for work or for fashion’s sake. They even put a lot of care into the packaging experience in order to really lean into that luxury branding. Again, Spencer and I don’t have much experience with new footwear, so we were pretty happy throughout the whole thing. Gary even texted us every so often, asking us how the shoes were coming along! The team seems very open for feedback and inquiries and even encouraged us to give an honest review. These are qualities not often found with online fashion brands. If you don’t want to spend your days thrifting old footwear, you should definitely try out 51 Label Co. The shoes are sleek and contemporary without going too overboard in design. 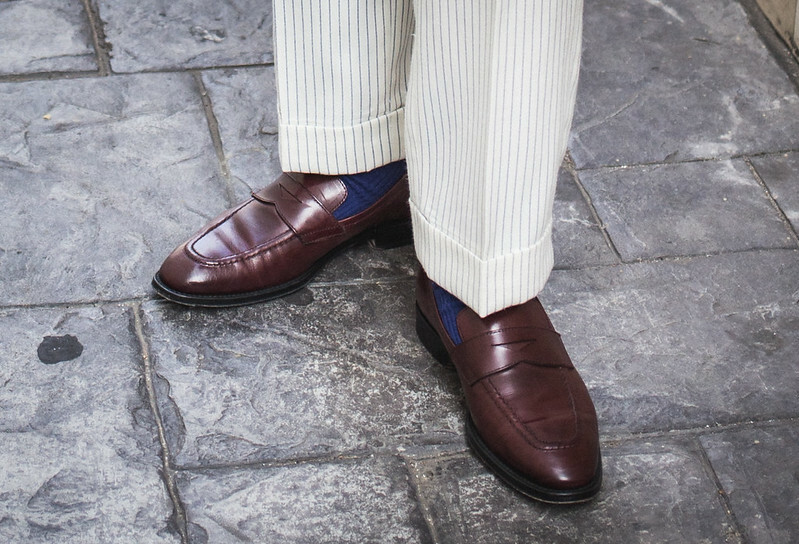 In our opinion, the lasts can be seen as a bit aggressive (especially the loafer), but if you’re looking for something that leans more formal, it’s something to consider. Also keep in mind that these shoes are lightweight and flexible right off the bat so don’t be surprised when you try them on for the first time! 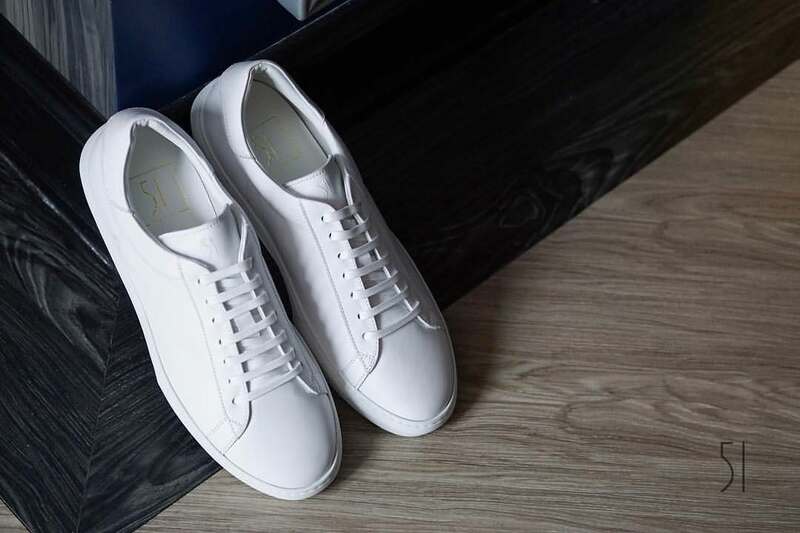 While they aren’t exactly Aldens, you can tell that they still are similar to ultra high end brands, and while not needlessly expensive, the shoes have sense of luxury and comfort. 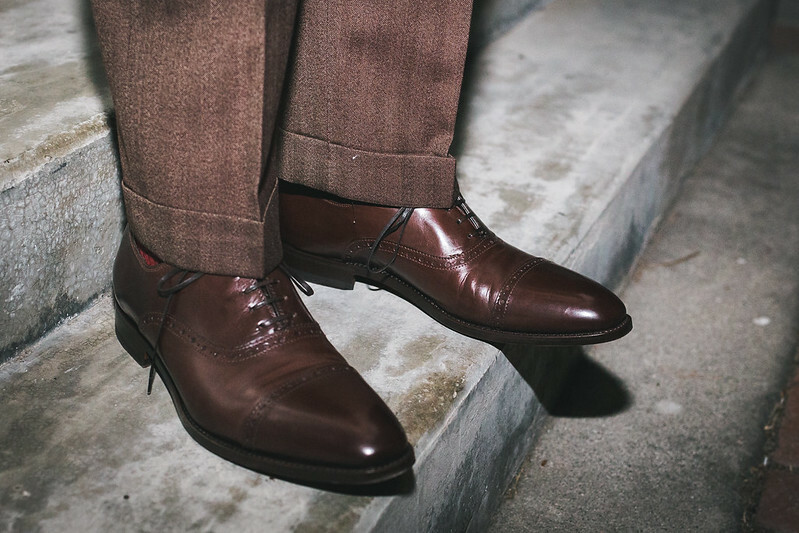 We certainly do enjoy wearing the shoes and we thank the 51 Label Co. for allowing us to review them. 51 Label Co. is a good brand to watch (they just launched a non-brogued cap toe) and is definitely worth a try if you like their aesthetic. They offer free shipping/returns in Singapore and flat rate shipping worldwide! Be sure to follow them on instagram or check out their products. Editorial: Gettin’ Silly with the Gooch Bros.
Sick loafies, my guy. I think the chunkier apron stitching allows the shoe to play the field; while it looks most appropriate with a nice pair of slacks, I think these shoes would be right at home with a nice pair of chinos and sport coat for that casual Italian vibe (more my speed). Either way, great review. Thanks! I may take you up on that and try and experiment with different combinations.